What the Heck is Author Rank and Authorship and What Must Business Owners Do About It? NEW – Download our new EBook: A Complete Guide To Google Authorship & Google Publisher! We know that Google has been fighting a long battle with Facebook—a battle over search and users. Google’s social networking platform, Google+, competes directly with Facebook. To solidify the position of Google+ and to make it completely necessary to users, Google has integrated it into its search results algorithms, known as Author Rank and Authorship. This next part is important, so pay attention! Author Rank is a score that is based on and reflects a writer’s productivity; the score may be modified or scored in various ways to give some content more value than others. The Authorship program offers Google users the ability to associate the content they write as authorized content on the web with a very specific Google account. So, to be clear, Author Ranking depends on data collection and analysis and Authorship is driven by direct user input. Got it? Is it important? Yes, it is! All this being said, one of the goals of Author Ranking and Authorship is to drive better content by verified authors. As discussed, Google has confirmed that it will reward content creators who meet Author Rank’s criteria by boosting the authors’ content in search results. But could Google’s real goal with Author Rank be to promote Google+? I think so. How do you play Google’s game? At the core of success with Authorship is engagement with Google+. This means you need a Google+ profile. It also means you must get involved. You have to interact with other Google+ users—especially those in your field—on a regular basis. Post frequently to your blog. What, no blog? Shame on you! Create one and schedule regular posts. Keep to the schedule. Make it important and relevant to your industry. It’s important, too, that your blog generate activity. Do what you can to promote your blog and get people in your industry to engage. Contact others in your field and invite them to comment or become involved. Create content that is truly interesting, truly thought provoking. Give other experts a reason to interact—even if it’s to disagree with you. Google wants to see people caring about what you write. 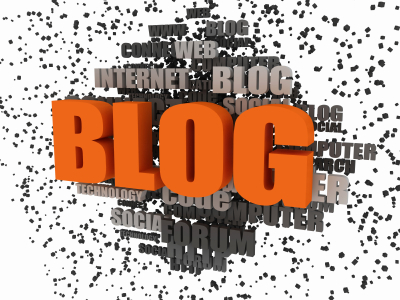 Get published on other blogs—especially authority ones. If you can establish (to the Author Rank algorithm) that you are expert enough to write on other blogsand not just your own, you will have an advantage over bloggers who only write on their own blogs. Write a book (I mean an eBook). It’s really not enough to be “web-only.” Put together an eBook with your best insights and with a great cover. It doesn’t even need to be long;just produce some solid information. Get it noticed by Google Books. If Google can see that you’re also a “real author,” Author Rank will like you all the more. Engage in the right conversations with the right people. And do it throughout the day, everyday. Ditto with Facebook—it won’t pay to be disengaged from social media anymore. +1 it, reddit it, digg it, stumble it, post it on Facebook; and don’t forget LinkedIn, my favorite. Google will begin looking at professional profiles such as Google+ and LinkedIn. So you’ll need to be more engaged on these sites if you want to come off well to Author Rank. Remember though, just schmoozing isn’t enough. You’ve got to connect with people in your field with whom you share a truly mutual interest. It can also be helpful, if there’s a question and answer forum like LinkedIn’s, to offer your help and advice there. Start a discussion or a poll, for starters. These are not the only factors that will help establish you in Author Rank’s eyes, but they are some of the most important. At this point, neglecting Author Rank will be like shooting yourself in the foot. So do your work and establish yourself to the rest of the world as the expert you are. What do you do to establish your Author Rank? Simple: if you happen to use WordPress, here is a great plugin that allows you to effortlessly get author markup added and working. Home BlogWhat the Heck is Author Rank and Authorship and What Must Business Owners Do About It?